THE overseas arm of Oil and Natural Gas Corp, ONGC Videsh, will invest $150 million in exploration this fiscal year to drill more wells in Colombia, where it just made a commercial discovery, as well as in Kazakhstan and Bangladesh. that has begun a test production of 4,500 barrels per day, he said. The success has also opened opportunity for further exploration in the block. “To chase this lead, we plan to drill two more wells,” Verma said. ONGC has 70 percent participating interest in CPO-5 block in which the remaining 30 percent stake in held by Amerisur Resources of UK. ONGC has participating interest in a total of six blocks in Colombia. This includes a producing block whose current output is 35,000 barrels per day. ONGC has also accelerated its exploratory efforts in Kazakhstan and Bangladesh. Drilling has begun in the Kazakhstan block in the Caspian Sea while preparations are on to drill the first well in Bangladesh. “We are hopeful Kazakhstan drilling will end up in success,” Verma said. In all, the exploratory effort would require $150 million of investment this year, Verma said. ONGC Videsh plans to make a total capital spending of $1 billion in 2017-18 in exploration, development and production across all its projects. ONGC Videsh’s production jumped 40% in 2016-17 mainly on 26 percent stake acquisition in Russia’s prolific Vankor fields. The output is expected to rise further 15 percent in the current fiscal year to 14.35 million tonnes of oil equivalent (mtoe). “We are actively working towards meeting our target of 20 mtoe by 2020,” said Verma. The company has also entered Namibia’s oil and gas sector with a purchase of 30% interest from Tullow Oil in the African country’s three oil blocks. ONGC Videsh’s investment in the Imperial fields of Russia will likely get some production boost after an associated gas processing plant comes up. The tender for the plant has been awarded and it would be ready in about 18 months, Verma said. This would help push up oil production from the field by 4000 barrels/day from the current 7000 barrels/day. 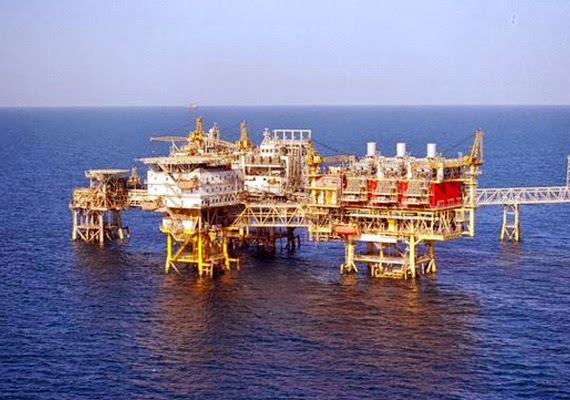 OVL is a Miniratna Central Public Sector Enterprise (CPSE) of the Government of India under the administrative control of the ministry of petroleum and natural gas. The primary business of OVL is to prospect for oil and gas acreages outside India, including exploration, development and production of oil and gas. OVL owns Participating Interests in 32 oil and gas assets in 16 countries and contributes 12 percent and seven percent of oil and natural gas production of India, respectively. In terms of reserves and production, OVL is the second largest petroleum company of India, next only to its parent company, ONGC.